The need of reducing share capital may arise in various circumstances, for example, accumulated business losses, assets of reduced or doubtful value, etc. As a result, the original capital may either have become lost or a company may find that it has more resources that it can profitably employ. In either of these cases, the need may arise to reduce the share capital. While the new Companies Act, 2013 has come into force, some of the sections including those governing reduction of share capital are yet to be notified. Till then the provisions under the Companies Act, 1956 shall continue to apply. The Act does not prescribe the manner in which the reduction of capital is to be effected nor is there any limitation on the power of the Tribunal to confirm the reduction, except that it must be satisfied that every creditor of the company has either consented to the said reduction or they have been paid off or their interest has been secured. Paid-up share capital for the purpose of capital reduction would include securities premium and capital redemption reserve. 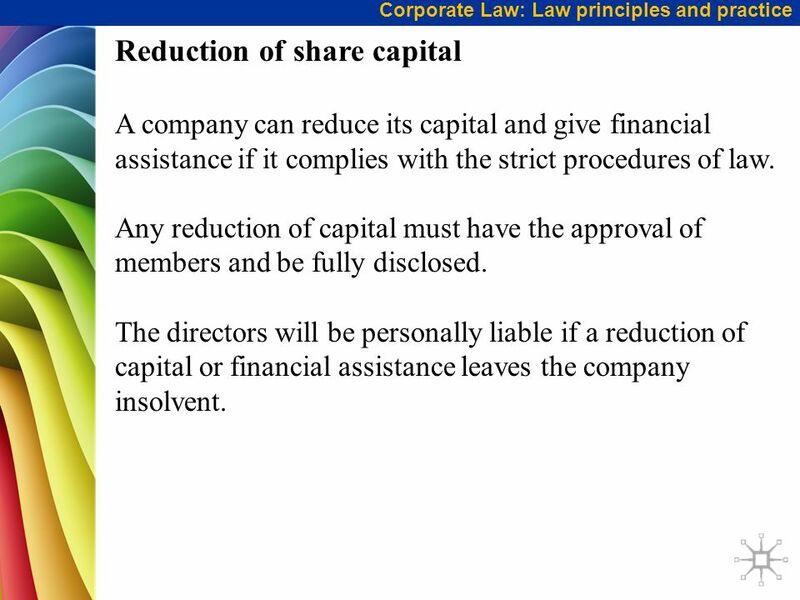 Unless a special resolution, as authorised by the articles, is passed for reduction of share capital, a company cannot effect share capital reduction. 1. Where redeemable preference shares are redeemed in accordance with the provisions of sections 55. 2. Where any shares are forfeited for non-payment of calls, though the forfeiture as a fact amounts to a reduction of capital. 4. Where company purchases its own shares in accordance with provisions of section 68. 5. Next step would be to make an application to the Tribunal for obtaining the sanction to reduction. Before confirming the reduction the Tribunal shall give notice of the application to the Central Government, Registrar and SEBI (in case of listed companies) and creditors of the company and take into consideration their representations. 6. If no representation is received from the Central Government, Registrar, SEBI or the creditors within the period of 3 months, it would be presumed that they have no objection to the reduction. 8. It is satisfied that every creditor of the company has either consented to the said reduction or their debt/claim has been secured or discharged. 10. 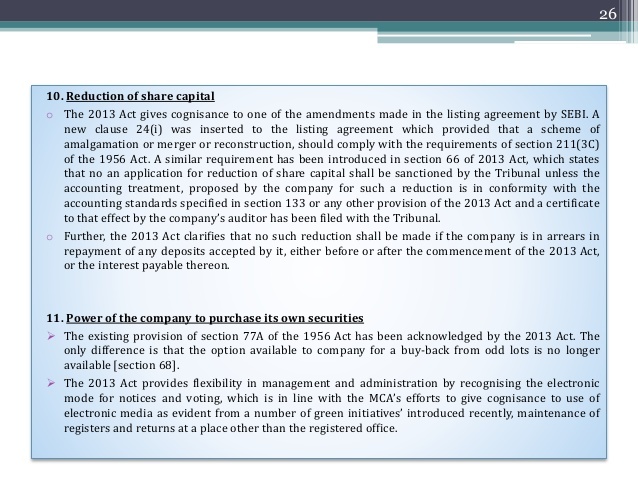 The order of confirmation of the reduction of share capital by the Tribunal is to be published by the company in such manner as the Tribunal may direct. The company has to deliver the certified copy of the order of the Tribunal to the Registrar within 30 days of the receipt of the copy of the order, who shall register the same and issue a certificate to that effect. Apart from reduction of capital under section 66, there is another circumstance, when share capital can be reduced. In the case of oppression and mismanagement, the Tribunal has been given powers under section 242 to pass an order as it thinks fit which may provide for purchase of shares of any members by the company and consequent reduction of the share capital. 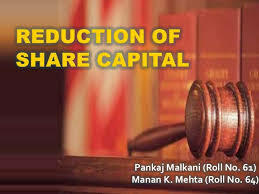 When any company reduces the share capital as per the provisions of the Companies Act, 2013 by way of reducing the face value of shares or by way of paying off part of the share capital, it amounts to extinguishment of the rights of the shareholder to the extent of reduction of share capital. Therefore it is regarded as transfer under section 2(47) of the IT Act and would be chargeable to tax. Distribution over and above the accumulated profits, in excess of original cost of acquisition of shares would be chargeable to capital gains tax in the hands of the shareholders. In simple words, ‘slump sale’ is nothing but transfer of a whole or part of business concern as a going concern; lock, stock and barrel. As per section 2(42C) of Income -tax Act 1961, ‘slump sale’ means the transfer of one or more undertakings as a result of the sale for a lump sum consideration without values being assigned to the individual assets and liabilities in such sales. ‘Undertaking’ has the same meaning as in Explanation 1 to section 2(19AA) defining ‘demerger’. As per Explanation 1 to section 2(19AA), ‘undertaking’ shall include any part of an undertaking or a unit or division of an undertaking or a business activity taken as a whole, but does not include individual assets or liabilities or any combination thereof not constituting a business activity. 1. 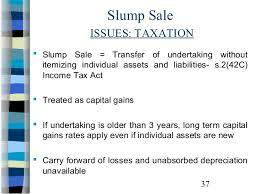 The subject matter of slump sale shall be an undertaking of an Assessee. 2. An ‘undertaking’ may be owned by a corporate entity or a non-corporate entity, including a professional firm. 3. Slump sale may be of a single undertaking or even more than one undertaking. 4. The undertaking has to be transferred as a result of sale. 5. The consideration for transfer is a lump sum consideration. This consideration should be arrived at without assigning values to individual assets and liabilities. The consideration may be discharged in cash or by issuing shares of Transferor Company. 6. Possibility of identification of price attributable to individual items (plant, machinery and dead stock) which are sold as part of slump sale, may not entitle a transaction to be qualified as slump sale — CIT vs. Artex Manufacturing Co., [227 ITR 260 (SC)]. However, in case of slump sale which includes land/building where separate value is assigned to it under the relevant stamp duty legislation, the slump sale will not be adversely affected in the light of Explanation 2 to section 2(42C). 1. 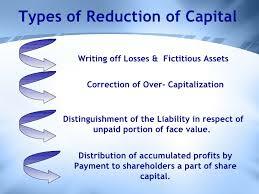 Section 50B reads as ‘Special provision for computation of capital gains in case of slump sale’. Since slump sale is governed by a ‘special provision’, this section overrides all other provisions of the Act. 2. Capital gains arising on transfer of an undertaking are deemed to be long-term capital gains. However, if the undertaking is ‘owned and held’ for not more than 36 months immediately before the date of transfer, gains shall be treated as short-term capital gains. 3. Taxability arises in the year of transfer of the undertaking. 4. Capital gains arising on slump sale are calculated as the difference between sale consideration and the net worth of the undertaking. Net worth is deemed to be the cost of acquisition and cost of improvement for section 48 and section 49 of the Act. 5. As per section 50B, no indexation benefit is available on cost of acquisition, i.e., net worth. 6. In case of slump sale of more than one undertaking, the computation should be done separately for each undertaking. Net worth is defined in Explanation 1 to section 50B as the difference between ‘the aggregate value of total assets of the undertaking or division’ and ‘the value of its liabilities as appearing in books of account’. This amendment has made it clear that the slump sale provisions apply to a non-corporate entity also. 1. WDV as determined u/s.43 (6)(c)(i)(C) in case of depreciable assets. 2. The book value in case of other assets. Therefore, in case of slump sale, section 180 shall get attracted and a special resolution of the members shall be required. For the purpose of this section, ‘undertaking’ shall mean an undertaking in which investment of the company exceeds 20% of its net worth or which generates 20% of the total income. ‘Substantially the whole of the undertaking’ shall mean 20% or more of the value of undertaking.